Thanks to Pete Davis for these photos of SROC members in action during days 1 and 2 of the JK. Clockwise from top left we see Zoe Harding, Paul Ferguson, Jane Anthony and Sue Harding. Check out the results on the JK website. Many regular street leaguers plus a few first-timers enjoyed the mass start finale to the series at Kirkham yesterday evening. Afterwards league co-ordinator Bob Nash organised the prize giving with SROC founder member Maurice Dean presenting the prizes. Maurice had earlier competed in the event with help from Peter Knott, on wheelchair pushing duty. Pictured are the age-adjusted top five with overall winner Quentin Harding holding the trophy. Full league results and results for the handicapped final event will be published soon. Meanwhile RouteGadget is ready to receive your routes. 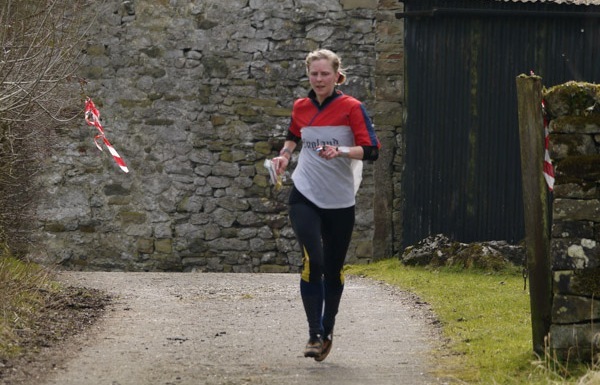 For those taking part in the British Orienteering Championships who would like to be entered in a club relay team, it is now time to make yourself known. The club will subsidise entries by up to £6.33 per person. Expressions of interest received by Quentin by 28/03 will be combined in to teams and entries made with the ‘best fit’. These people will be asked to contribute £7 each for seniors and £1 for juniors. Expressions received after that time but by 18/04 will be combined in to a second entry with a contribution of £10 each or seniors and £2 for juniors. 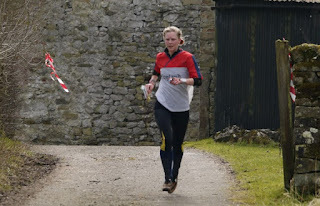 So if you want to take part in the thrills and spills of relay orienteering e-mail Quentin now! The Adlington event brought to a close another successful Street League season. It was very enjoyable to run on a new area especially on a cold clear night. Many thanks to all those who turned out to enjoy the events and the socialising afterwards. I am especially grateful to the Planners and Organisers without whom there would be no series. However as one series ends thoughts turn to the next one so anyone who is willing run an event in the 2013/14 season please let me know. Now onto the final event, the culmination of our efforts, the prizegiving at Kirkham - See you all there - Bob. Follow these links for results and RouteGadget. SROC's Helen Ockenden and Quentin Harding aided the victorious England team at the international Interland competition over the weekend. Both runners scored well including a 1st and 2nd place each out of the three events. Full results here. Members of the South Ribble Junior Squad competed for a place in the YBT final at the LOC event at Holker Woodlands yesterday, placing fourth behind LOC, MDOC and WCOC despite some excellent individual performances. There are some photos from the event posted by Steve Davey on Facebook. Competitors at today's event at Arnside Knott enjoyed a suitable challenge prepared for them by Mike Johnson. Results may be viewed here and RouteGadget is here. With apologies for the delay, we now have RouteGadget for the Tim Watkins Trophy on 3rd March ready to receive your routes. Final details for the informal event at Arnside my be viewed here. Results from the 2013 Tim Watkins Trophy held today on Hutton Roof may be viewed here. More photos can be viewed in the Gallery and more will be added soon. Thanks to Roy McGregor for these. Also Facebook users can view many more photos thanks to Mark Edwards. Details of the next (10th) event in the street league have been posted on the fixtures list. This is your last chance to gain some points! Food needs to be ordered in advance, see the fixtures page for details, deadline Friday 8th March.